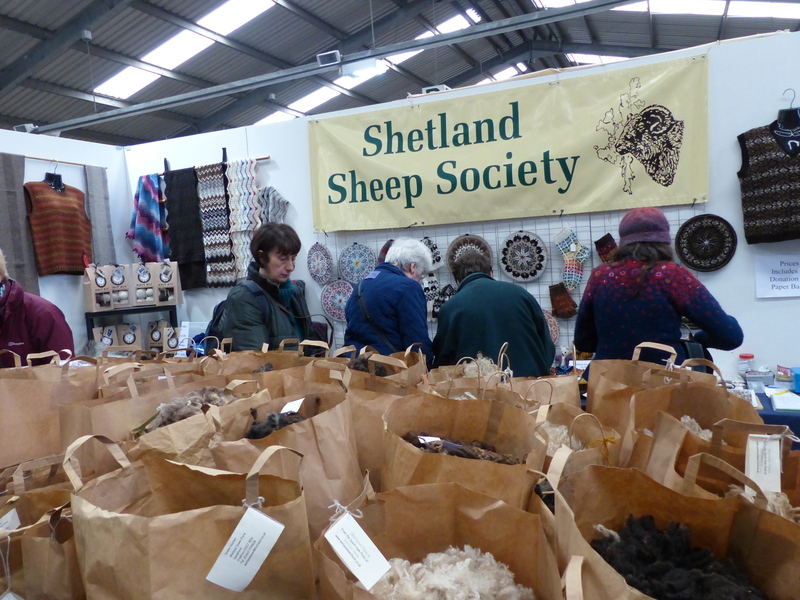 Buying my first fleeces to process at home for handspinning was hugely exciting. I’d just been to my first meeting of the Mid-Essex Guild of Weavers, Spinners and Dyers and it happened that two of the members were having a fleece sale that day. I was lucky to have two experienced guild members there to show me how to look over a raw fleece. They unrolled the fleeces and talked me through what I was looking at, pointed out some of the desirable qualities that hand spinners look for in a fleece. Those are attributes like crimp, softness, good lock structure, cleanliness (no straw, grass or poo, etc). More on that later. 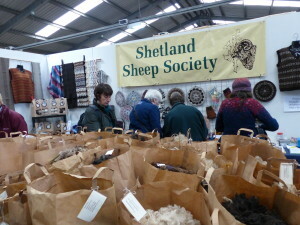 The first fleeces I bought were a Hebridean, a Shetland and a Ryeland. Maybe I went a little overboard. It took a lot of work to get the fleeces scoured, dried and ready to spin. And even though I benefited from having some experts on hand to help choose my fleeces, if I were to do it all over again I would have done my homework first. Before buying a fleece, I recommend reading up on different breeds and the characteristics of their fleece. There are about 60 sheep breeds in the UK alone and all their fleeces are a little different. 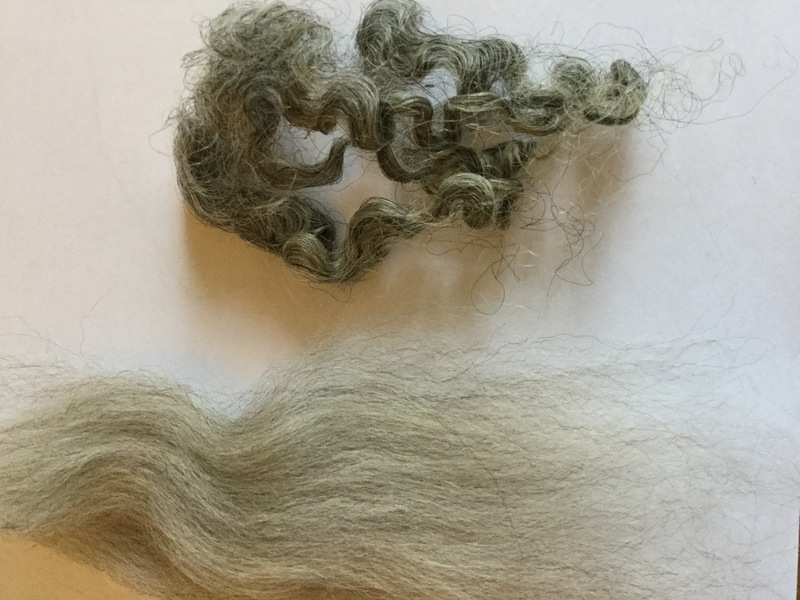 Some, like Cotswold, Teeswater, Lincoln, Leicester and Wensleydale–longwool breeds–have fleeces that are more hair-like, lustrous and require some experience to spin. Then there are the Downs breeds–Southdowns, Oxfords, Hampshires, Dorsets for example–which have dense fleeces with short staple-lengths, but feature lots of crimp and bounce. Then there are the many other breeds that are favourites of hand spinners, like the Shetland, Blue-faced Leicester, Cheviot, Manx Loaghtan and Jacob, which all have their own characteristics. There are also plenty of breeds which aren’t particular favourites of spinners, either because their fleece is too coarse or just not suitable for spinning. So before jumping in and buying a fleece take a look at some of the books available like Fleece and Fiber Sourcebook or The Spinner’s Book of Fleece to get an idea of what you might like to spin as well as the huge choice available. There are other questions you want to ask before diving in and buying 4-5 pounds of raw sheep fleece. Are you going to make a worsted or woollen yarn? It will be hard to spin a woollen yarn from a long wool, for example. Which fleeces will best suit your project? Do you want a coloured fleece? How important is softness in your project? Are you looking to create something durable or more lightweight? Now that you’ve decided on a breed, what are you looking for when choosing the actual fleece? Steve Kennett, vice chairman of the Association of Guilds of Weavers, Spinners & Dyers, visited my guild back in September to speak on how to pick out a fleece. Steve unrolled one of the fleeces supplied by a member and gave a few pointers on picking a good one. It had a lovely staple length, beautiful crimp and was muck and VM-free. Steve held it up to demonstrate how the fleece should be nice and open—like a lace curtain. 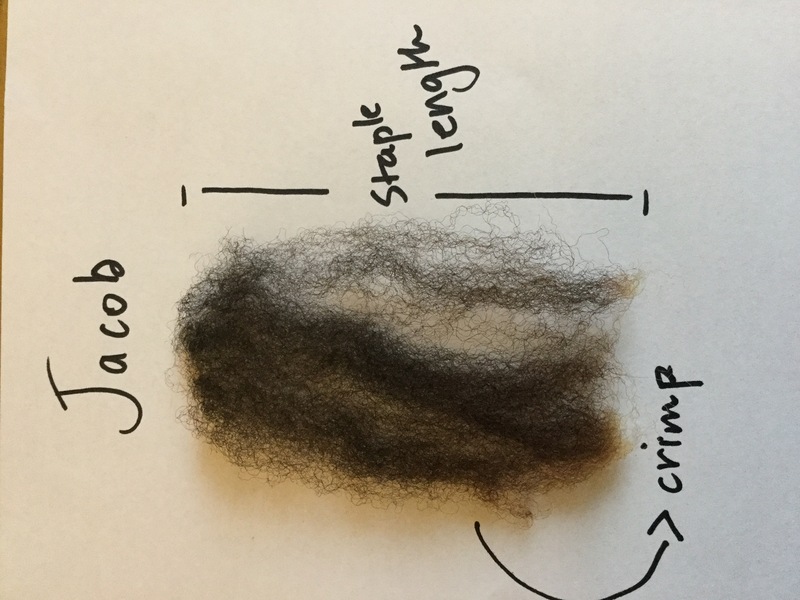 You can see in the photo of the Jacob lock what I mean by crimp. It’s simply the little waves in the wool. Crimp makes wool easy to spin as it twists together and the crimp helps the wool lock together. The rule of thumb goes that the more crimp, the finer the wool. Merino, for example, can have 100 waves (crimps) per inch. Longwools have less crimp and often used by spinners to add texture and lustre to yarn. Steve Kennett also said to look out for second cuts (short bits the shearer missed on the first pass) felting and second growth—ie when a sheep hasn’t been sheared and begins to grow a second fleece. He recommended taking off a lock of fleece, holding it firmly in one hand and giving it a good tug. If the lock is breaks avoid the fleece as it is brittle, will not be nice to spin and could result in weak yarn. The best part of the fleece is going to be on the neck, front legs and back (between the shoulders). Fleece on the back is generally good. Fleece from the hind legs is generally coarser and kempy. Steve recommended being picky about fleeces and perhaps buying several, but only using the best bits. I don’t know if I’d go to the lengths Steve does–buying many fleeces and throwing a lot of it away. If I were to go back in time, I’d probably have started with one fleece (Shetland) and made life easier for myself. If buying a whole fleece is intimidating, get a friend to share one with you. Starting with a fleece instead of tops or roving is, I think, a great way to learn more about sheep breeds, fiber prep and spinning. Fleece you’ve scoured and prepared yourself is going to feel and spin differently from commercially processed fiber. Some of the women in my guild consider commercial prepared fiber to be “dead”, because they view it as flat and lacking crimp. I agree with that to a certain extent, however I have found that top or roving from smaller mills tends to retain some of the bounce and crimp. Still it’s an eye-opener when you compare commercially prepared roving with that you’ve cleaned and carded yourself. Take a look at this Gotland fiber. On the left, straight up commercial roving, on the right Gotland right off the sheep. Looks a lot different right? Doesn’t even look like it came from the same breed. For more information on scouring fleece see these posts: Hot tips for scouring fleece or More hot tips on scouring fleece without soap. Nice post Rach! One of the reasons that commercial top or roving is so different from hand-prepped fleece is that it’s made primarily for going into a commercial spinning machine to make yarn, where consistency and predictability are desirable qualities. Milling equipment requires well-behaved fibers. If you happen to live near a small-scale fiber mill, I’d highly recommend inquiring if you can get a tour…it’s a fascinating process, and it really drives home why commercial products are the way they are (and also why mills are such a great labor saving technology). It really does take some time to hand-spin a whole fleece! I would love to visit a fiber mill–starting with the one in North Ronaldsay where I sent my Bowmont fleeces. Jane Donnolley did a great job. Sal– which American breeds would you recommend? What’s a good fleece for someone just starting out? (As you know) there are a lot of the British breeds available over here. Shetlands are nice because they come in a wide range of colors, and aren’t so large as to be overwhelming. Romneys are a bit larger, a bit finer and also come in a range of nice colors. California Variegated Mutants are a popular choice, and are actually an American breed. Jacobs are nice too— soft, and have an assortment of color spots throughout the fleece, so you get blending options as well. But really, for a first fleece, I’d pick a Shetland. They don’t have as much lanolin as a Romney so they’re less work to scour. Shetland fleeces are great. Soft, crimpy and nice-sized locks. And like you say, loads of colours to choose from. A winner! Well there’s a reason I picked Shetlands for my own flock! This is a great blog entry! I was guided to it by someone on a forum – Knitting Paradise. They just opened a section for spinners and weavers. I have a small flock of American Miniature Cheviots that I have bred for over 20 years as wool sheep. FYI the AMC breed was formalized about 20 years ago to preserve the “real” Border Cheviots, which, in the US were growing larger and larger. We like little sheep! I have, in the past, cross-bred with Shetlands, as I had trouble finding Cheviot rams that were small enough. The cross-bred fleeces were (and are) exemplary – best of both worlds. I was delighted that you included Cheviots here – in this country they were considered meat sheep for a long time. (Hence the push for larger sheep). A judge who saw my little guys told me years ago that Cheviots were the best-kept secret in spinning fleeces. 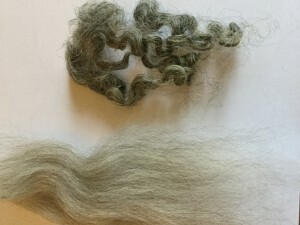 Their helical crimp makes them unique, creating a fluffy quality in the roving (but making it a not-so-great filters wool). I have a website for my farm and would like to incorporate your article here into it. How can we work that out – giving you full credit, of course? Is the “Five Thoughts on Choosing a Fleece” a separate article or title of this one? A 5-step thing by you would be awesome. Hey Toni, thanks for your comment. Your Cheviots sound lovely. It’s always nice to hear from someone who is enthusiastic about a specific breed. Funnily enough to my family and I were in the Cheviot Hills up in Northumberland around Easter time. There were sheep everywhere and lambs of course! However only some looked like Cheviots the rest were Scottish blackface and north country mules. I have a little bit of cheviot in my stash somewhere. You’ve inspired me to dig it out and spin it. 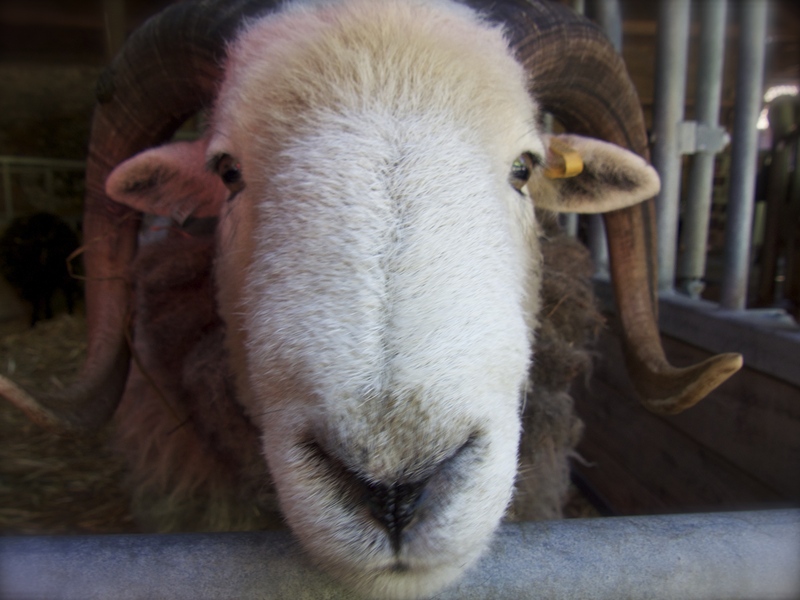 I see you picked a ryeland fleece, I’m about to get some…. are they good to process, mine are coloured shearlings. Hi Heather. Ryeland is a fairly dense and sturdy fleece I found. Lots of bounce to the locks. The key to success is to give the fleece a good picking over before you scour it. I scour in batches—ie not the whole fleece at once. Make sure you rinse well. There will still be bits in there, but that can/should be easily removed with a dog comb or your carders.